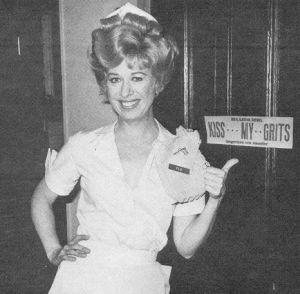 NORA in NOLA: Kiss my grits! My first meal preparing grits was as a side dish with panfried drum fish and turnip greens cooked up with andouille. I made far too much, so I spread them out in a small pan and put it in the fridge. I fried them up the next day for breakfast (they had firmed up so could be panfried easily) and served over easy eggs on top of it. Awesome. My second experiment with cooking grits was with the classic Southern (though not Creole or Cajun or particularly New Orleanian) dish, shrimp and grits. Also awesome. Tonight, we cobbled together a meal with some sea bream Tom got at the farmers market while I was out of town, served over the grits from the above linked shrimp & grits recipe, with a quickly improvised lemon-brown butter-Crystal hot sauce pan sauce. YUM. Best under-30 minute meal I've had for a long, long time. Tom said he preferred the grits I'd made before without the heavy cream- these were quite rich, and he liked the slightly lighter ones. I liked the heavy cream ones better, personally. In conclusion: Grits! Good for what ails you. If what ails you is that you are not eating grits at this time. My favorite is cheesy grits. I must find someplace to buy grits. . .